Hot water tanks come in a wide range of sizes anywhere from 40 gallon storage tanks to over 100 gallons. Hot water tanks can be fueled by natural gas, LP, heating oil or electricity. Traditional hot water storage tanks typically have a 5-10 year tank warranty and a one year labor warranty. 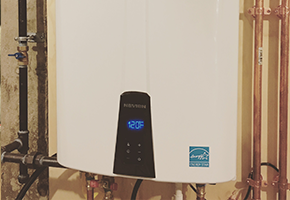 A hybrid water heater employs a new advanced hybrid electric design which integrates heat pump technology to produce a product that is twice as efficient as a standard electric water heater. It’s the most versatile and energy-efficient option for homeowners looking for cost savings and performance. Tankless water heaters (Also known as on-demand water heaters) use high-powered burners to quickly heat water. 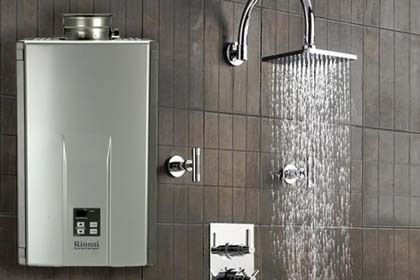 On average tankless water heaters are 22 percent more energy efficient than gas-fired hot water tanks. Warranties for on-demand water heaters typically range from 12-15 years. LeBlanc Heating carries natural gas, LP gas, oil and electric powered water heaters. 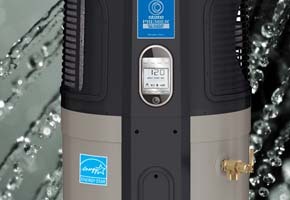 We install and service both traditional storage based water heaters and tank-less water heaters. Our sales staff will be happy to assist you in sizing your system and choosing the correct tank for your home and needs. If your water tank recently let go, you should shut it off (unplug the system) and turn off the water supply. This will prevent further leaks and damage. LeBlanc Heating generally can install a new water heater within one to two days depending on technician availability; call 603-623-0412 for service availability. If there is extensive flooding we will not be able to replace your tank until the area is pumped out. 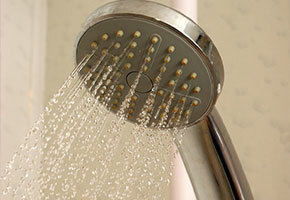 A tank-less water heater is an energy-efficient water heating system that heats water only when it’s needed. These space-saving, long-lasting water heaters provide an endless stream of clean, hot water for all your appliances simultaneously without temperature fluctuations. All while saving you up to 40% in energy costs! 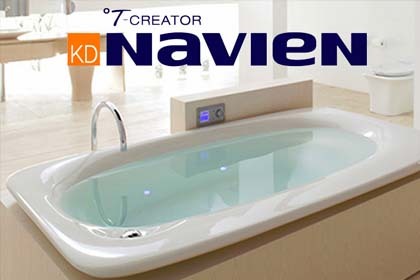 LeBlanc Heating sells and services multiple brands of tank-less hot water heaters including but not limited to Rinnai and Navien. A ‘heat pump’ is a device that moves heat from one place to another; it works much like an air conditioner or a refrigerator. 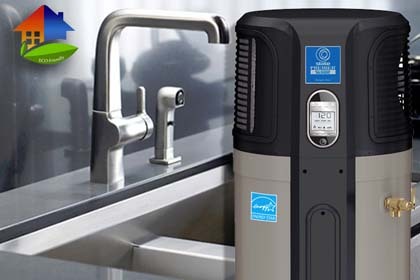 While a refrigerator moves heat from your fridge to your kitchen, a heat pump water heater (HPWH) moves heat from your home into the hot water tank. Most HPWHs include an integrated hot water tank and a ‘hybrid’ mode (i.e. they can also run as standard electric water heaters if necessary). Yearly maintenance is required for all the equipment that we install. Our service department is staffed with NATE certified technicians who handle maintenance. NATE is the leading certification program for technicians in the heating, ventilation, air conditioning and refrigeration (HVAC/R) industry and has the only test supported by the entire industry. Should any problem arise during our contracting of work performed, we are fully insured. LeBlanc Heating can service your needs.